Engraved Crystalite Whisky Tumblers - quality crystalite whisky tumblers ideal for engraving as corporate gifts or awards, offered with low-cost engraving. Optional presentation box available. Pure class in a glass! 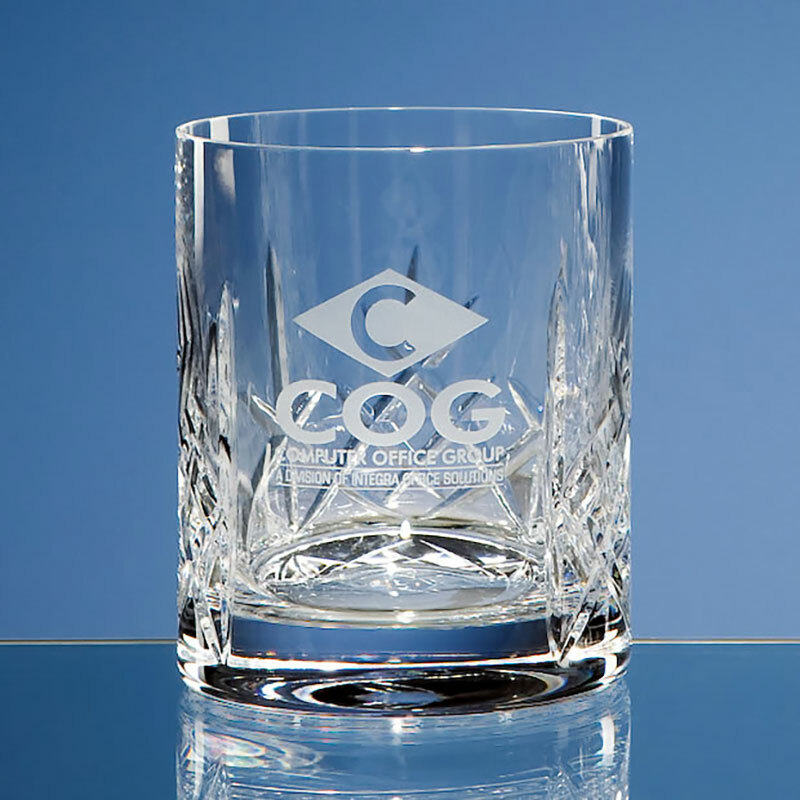 This straight-sided crystalite whisky tumbler features elegant cut glass decoration and includes a blank engraving area some 45mm by 45mm. They are perfect engraved as corporate gifts or achievement awards, and can be customised with text or logo engraving Low-cost of charge. 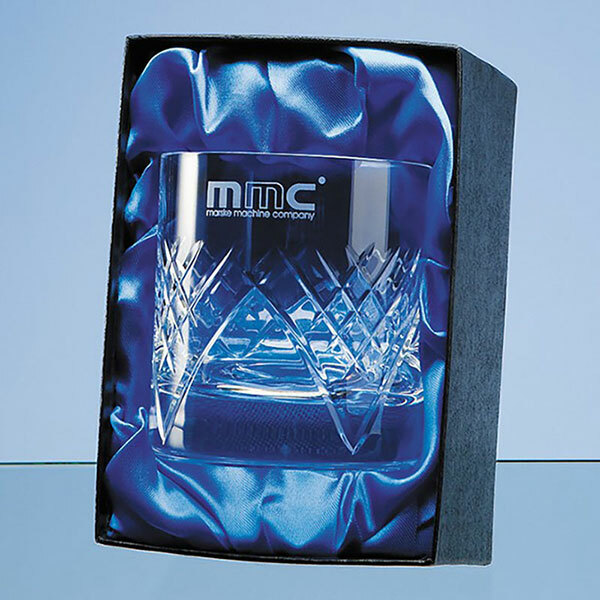 An optional satin-lined presentation box is available for your engraved cut glass whisky tumbler.